This is the most widely studied Turbellarian, a free-living flatworm commonly used in science fair projects. 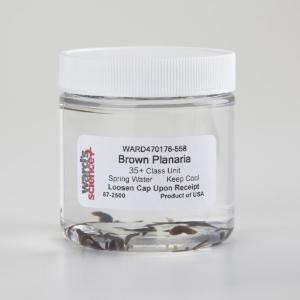 Brown planaria are easy to maintain. They feed on animal matter such as liver and are up to 1/4" in size. Ordering information: These products contain living or perishable materials. Please specify a delivery date.